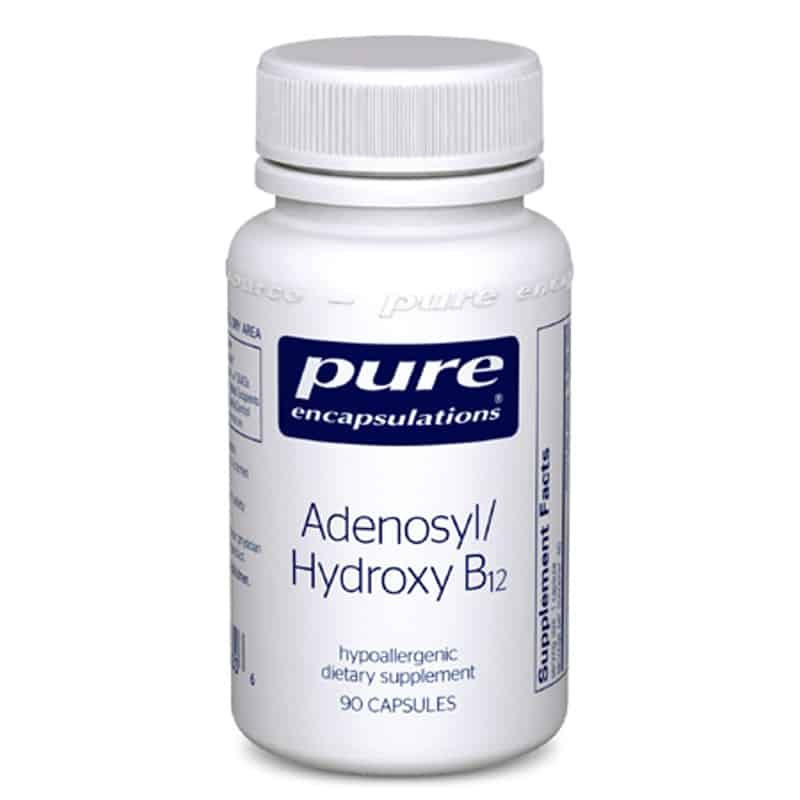 Adenosyl/Hydroxy B12 offers a unique blend of vitamin B12, as adenosylcobalamin and hydroxycobalamin. Hydroxycobalamin is a precursor form of vitamin B12 converted in the body to both methylcobalamin and adenosylcobalamin. What Is The Source? Adenosylcobalamin and hydroxycobalamin are derived from corn dextrose fermentation. Recommendations 1 capsule, 1-3 times daily, with meals or as recommended by your healthcare professional.